When we think of children’s health, we usually think of their physical well-being. “Are they active and fit? Do they get sick often?” Mental health is just as important as physical health. Mental health in young children is closely related to their social and emotional development. Mental health includes how people feel about themselves and other people, how they approach problems and challenges, and how they cope with life. Good mental health helps people handle stress, make wise decisions, and get along with others in childhood and throughout adulthood. Caregivers, teachers, and family members all have roles to play in fostering young children’s mental health. Caregivers and teachers may be the first people to notice that a young child is experiencing mental health problems. Support from caring adults can help most children recover even when very bad things have happened in their lives. But some mental health problems last a long time and get in the way of learning and enjoying life. A person’s genetic make up can influence his or her mental health. Scientists have found that some mental health disorders “run in families,” but having a relative with a particular disorder does not guarantee that a child will have the same disorder. Environmental factors also play a key role in mental health. For example, being exposed to lead, mercury, or other toxins can change children’s brains in ways that affect their mental health. What roles can stress play in children’s mental health? “Stress” means experiences that interrupt a person’s sense of comfort or well-being and cause physical changes such as increased heart rate as well as emotional changes such as feelings of excitement or distress. Scientists have identified several types of stress. Positive stress can happen during “normal” life events, such as going to the doctor or getting a new teacher. Conflict over a toy can cause some stress. Most children can adjust to such things if adults are supportive and show confidence that the child can manage and even learn from such experiences. Being able to handle stress can enhance a child’s overall mental health. Tolerable stressors include major life events such as losing a loved one (including a pet) or having parents separate or divorce. Such experiences may be difficult for a child, and full recovery may take a long time. Again, supportive relationships with caring adults can help children learn to manage the stress and enhance their confidence about handling other challenging situations. But negative experiences that persist or get worse over time can be toxic stressors that overwhelm children and make them especially vulnerable to mental health problems. For example, children who face recurring abuse, neglect, or domestic violence feel unsafe much of the time and are considered at risk for toxic stress. Community violence, food insecurity (not knowing whether there will be enough to eat), and parental substance abuse also contribute to toxic stress. What are some signs that a child may need professional help? He almost always appears to feel sad and hopeless. He may cry a lot for no apparent reason. She often seems very angry or is constantly irritable or tense, getting extremely upset about things that seem minor to others. Any child can have an irritable day, but a pattern of tension, irritability, and anger are cause for concern. He is frequently aggressive toward peers, adults, or pets, perhaps when he thinks no one else can see his behavior. Other children may be afraid of him. A child who often goes out of his way to hurt or scare others is not a happy child, even if he smiles or laughs during the aggression. She is often difficult to comfort or calm when she is angry, frustrated, frightened, or otherwise upset. Any child may have times when she can’t seem to comfort herself or be comforted. But if she is often “lost” in negative feelings, she may need help to recover her resilience. He startles very easily or seems to “freeze” in fear or is overly vigilant. For example, he may seem afraid to close his eyes at naptime. She regresses in her toilet training or other developmental milestones. He often expresses feelings of worthlessness or seems to feel excessively guilty, anxious, or worried. She seems very afraid in situations that do not frighten other children. He often has sleep problems, such as terrifying nightmares, or great difficulty falling asleep or waking up. Any child can have an occasional bad dream or be hard to awaken, even at naptime. But any severe sleep disturbance can signal a mental health problem. She avoids activities she once enjoyed, such as playing with friends. Any child may go through periods of preferring to be alone, and any child’s friendships and interests may shift over time. But there is cause for concern when an active, sociable child begins to pull away from everyone, especially if she also shows any other behaviors that cause concern. He seems unable to relax or is in constant motion (much more than his peers are). Many young children fidget, especially when they are required to sit for long periods or to do things that have little meaning for them. A child who cannot be still or focused long enough to enjoy many activities is probably not able to have good experiences in school or with friends. She tries to hurt herself, hurts herself deliberately, or says she wants to hurt herself. Although rare in preschool-age children, this behavior can be a reason for deep concern. He is often “oppositional” or often defies adults’ requests for constructive behavior. Many toddlers or preschool-age children sometimes refuse to do what is needed or expected. In fact, we want young children to say no to some requests , such as when a stranger tells them to do something that might cause them harm. But when a child seems almost driven to reject rules or guidance, he is likely to have trouble getting along with adults or peers. His safety may even be jeopardized if he refuses to do as he is told during an emergency. She seldom “stands up” to others who are bossy or bullying. Many young children will give in sometimes to another’s demands to avoid conflict or simply because they feel friendly toward the other person. If a child never asserts herself, she may fall victim to other people who wish to exploit her—to take her toys or food or get her to do things that are not good for her. He becomes very upset if his usual routine is changed. Many young children prefer a familiar schedule, but when even small changes cause a child serious distress, that may be a sign that the child already feels overwhelmed by some life situation. What can I do when I’m concerned about the mental health of a child in my care? Observe and take notes on the child throughout the day. Do this over several days or weeks to help you see patterns. Does the behavior that concerns you occur at certain times of day? In certain parts of the building? Be sure to note the child’s strengths as well as areas of concern. Learn and follow your program’s procedures for working with children with challenging behaviors. Whose responsibility is it to talk to the family? If a child’s actions are dangerous, can an extra adult stay in the room to help out? Does the school have a referral process in place? Be ready to talk with the child’s family about your concerns. When a child you know seems to be having mental health difficulties, you can take action to help the child. It is important to be sensitive to a child’s individual needs. For example, a child who is overly watchful as a result of trauma may not want to take part in any activity that involves closing his eyes. A child who is grieving may need some time to cry in private or on a teacher’s lap. Relationships with adults who are warm, nurturing, and respectful of the child can be extremely helpful. Validate the child’s feelings, but set some limits. For example, let the child know you can accept his being angry, but he is not allowed to hurt people or pets. It may be necessary to have an extra person in the classroom to help out if a child’s aggressive or reckless behavior poses a safety threat to herself or others. Maintain a consistent routine to reassure children who have been through chaotic times such as disasters or family trauma. If there will be a change in routine, try to let children know ahead of time what to expect. A traumatized child may need opportunities to draw or play about what has happened. Provide toys and materials that children may use to help express feelings or relieve stress. A child may start to cope with fear, anxiety, anger, or grief by playing with play dough, clay, water, puppets, dollhouses, art supplies, and other “open-ended” items. A child involved in such therapeutic play may need to be able to play alone. Asking him or her to share or take turns at such times may not be helpful. Keep extra materials around to avoid conflict. Be aware of how other children in the class may be feeling about the child who is having difficulties. Are they afraid of her? Worried about her? Angry? Rejecting? 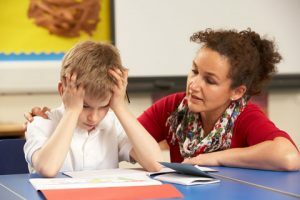 How you respond to the child who is having difficulties in the classroom serves as a model for the other adults and children. You can model acceptance of the child’s needs, while at the same time assuring the class that each of them deserves the care and concern of everyone in the group. Help children find ways to express care and support for a child who is recovering from a difficult experience. Show them how to stand up to someone who is aggressive and hostile, and show them how to defuse aggression. Are services available that can help me work with a child and his/her family about a mental health concern? Caregiver Connections is a free statewide support program to help Illinois child care providers recognize and address the social and emotional needs of the infants, toddlers, and preschool children in their care. Caregiver Connections professional consultants can work with providers in centers or child care homes when there is a concern about children’s behavior or social emotional well-being. The consultants can also talk with parents and refer them to evaluation services or to therapists, but they do not conduct evaluations or provide therapy themselves. Child care providers can also request training in their programs on a wide range of topics related to young children’s mental health. Head Start also provides some mental health consulting services and resources to their programs and staff nationwide. Information and resources are available online for administrators and directors and for staff members. Many Illinois Preschool for All programs may provide children’s mental health consultations and behavioral management support services to families. How should I approach the family when I am concerned about a child’s mental health? When a teacher or caregiver has concerns about a child’s mental health, it is important to talk with the child’s family. Such conversations call for tact and thoughtful preparation. Being well prepared for the conversation is extremely important. If your program has social workers, nurses, or counselors, talk with them about the child’s behaviors. Ask them for suggestions about the best ways to approach the family. If you are working with a Caregiver Connections consultant, he or she can advise you or even be present when you meet with the family. Before talking with the family, find out about available support services. Who can evaluate a preschooler’s mental health? Is affordable counseling or play therapy available? Collect materials about these resources to give to the family. With others in your program, decide what you or other staff members can do to help the child. For example, what will you do if the child puts herself in danger? Can an additional adult be assigned to your classroom to provide more support ? Be ready to present these options to the family. Consider which staff members know the child or the family best. Be sure to include them in meetings with the family. Also, be aware that if the family’s cultural background is different from your own, you may want to find out first what some of their perspectives might be on mental health and social-emotional development. A librarian may be able to help you find information about cultural variations in ideas about mental health. But it will be very important as you talk with the family to listen closely to what they seem to believe about the child’s behavior and about children’s mental health in general. You may need to spend extra time establishing some common ground to work most effectively with the family. If possible, you might want to find someone who works regularly with immigrant and refugee families who can give you firsthand information about what to expect and how to approach mental health issues in this situation. Similarly, if you have concerns about the mental health of a child whose home language is not English, it would be helpful to use an interpreter who can translate ideas and terminology so that everyone can understand each other during potentially sensitive discussions about a child’s behavior and well-being. Ask the parents if they see similar behaviors at home. What have they tried that helps the child feel better? 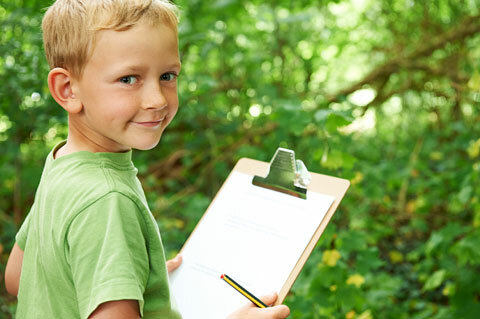 Invite parents to watch the child in the classroom so they can see what you have described. Do not use diagnostic terms —even if parents press you to do so. A mental health specialist should be the one who diagnoses and explains such conditions as depression, autism, etc. Word your comments with care so that parents do not feel blamed for the child’s troubles. Ask them what they think might be going on. Be sure to spend time talking about the child’s strengths as well as her difficulties. Her strengths are what you and the family can build on to help her. It also helps to show the family that you do not expect them to “fix” the child by themselves. Give the parents or guardians materials you have collected. They might appreciate knowing about relevant Web sites or receiving free pamphlets about children’s social and emotional well-being or materials about mental health services in the area. If it seems appropriate, you might also make referrals to community resources such as mental health clinics or play therapists who have been recommended by other parents. Engage the family in planning some ways to help the child. For example, the parents might agree first to take the child to a pediatrician, and you might agree to write a letter to the doctor carefully describing what you have noticed about the child’s behavior. Or the parents might decide to find counseling while the center director agrees to have an aide stay near the child during the day. The plan should include setting a time to touch base in three or four weeks to review any progress and discuss how things are going for the child and family. Keep in mind that it may take time for parents to think about what to do when a child seems to be having problems that affect his or her mental health. ← Previous IEL Tip Sheets: Family Fun!